The Gulf Wild team is comprised of passionate and caring individuals who come from a variety of professional backgrounds including fishermen, environmentalists, seafood distributors and restaurateurs. They share an unwavering desire to improve the quality and sustainability of fisheries throughout the Gulf of Mexico and strengthen the commercial fishing industry. Jason has been fishing since he was 5 years old. Starting out as a recreational fisherman, he has worked as a professional spear fisherman as well as an owner operator of commercial fishing vessels. He became actively involved in the fishery management process when he became a member of the Shareholders' Alliance and accepted a position as Vice President working to protect the fishery he loved. During his time on the Shareholders' Alliance Board, he helped develop and implement the Gulf Wild brand. Knowing that actions speak louder than words, Jason's company - Wild Seafood Co. - adopted the principles and guidelines of Gulf Wild so that it could provide the highest quality, responsibly harvested seafood, to the nation. 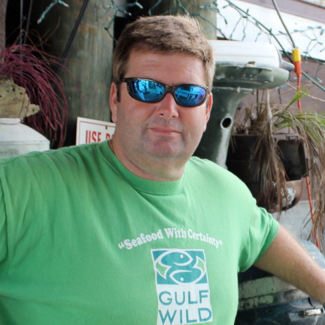 Jason is the first Executive Director of Gulf Wild. In this capacity, he drives brand development, awareness and support. At the same time, he supports commercial fishermen who are dedicated to protecting fisheries in the Gulf of Mexico; committed to responsible harvest of their catch; and interested in innovative measures of seafood conservation. 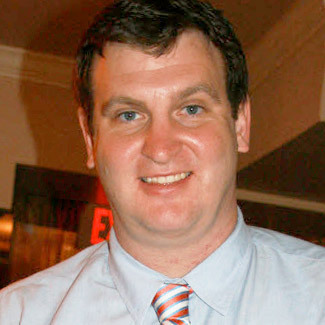 Starting out on his father's commercial lobster boat in Maine, and with a Bachelor's degree in Environmental Studies from Brown University as well as a Master’s degree in Coastal Environmental Management from Duke University, Eric Brazer brings a wealth of fisheries experience to his position as Deputy Director of the Shareholders' Alliance. He began working with the Shareholders' Alliance in October of 2013 after having spent nearly 10 years working with the Cape Cod Commercial Fishermen’s Alliance in Massachusetts. During that time, Eric led the charge for a responsible quota management program in New England's traditional groundfish fishery and was one of the first Sector Managers in New England to look after a groundfish harvesting cooperative of more than 50 fishermen. Eric works closely with the Executive Director and Board of the Shareholders' Alliance to protect the commercial fishery and the resource that fisherman and consumers rely on. Together they are working to build solutions to today's fishery problems. Grouper fishing was probably started by Glen and his fleet of excellent Captains. He was the first to test video cameras for fishery monitoring purposes in the Gulf and pushes conservation limits (in a quiet manner) to ensure seafood security. He is the President of Gulf Fishermen's Association and a founding board member of the Gulf of Mexico Reef Fish Shareholders' Alliance. Valued Gulf-wide for his industry expertise, Brooks serves on advisory panels for Individual Fishing Quotas, a special type of licensing system engineered to manage the resource responsibly, and for the Gulf's new Video Monitoring Systems through NMFS. Buddy Guindon's career encompasses more than three decades of fishing industry experience, both as a fishermen and fish house owner and operator. At the same time, he works tirelessly to educate the entire fishing industry on the benefits of sustainable fishing practices along with promoting a secure future for Gulf fisheries. Buddy is the owner of Katie’s Seafood in Galveston, Texas and the Executive Director of the Gulf of Mexico Reef Fish Shareholders' Alliance. Captain Bubba Cochrane fishes out of his homeport in Galveston, Texas on his boat the f/v Chelsea Ann. He has been fishing for as long as he can remember - starting out on a charter boat when he was 17, and fishing commercially in the charter off-season, Bubba eventually became a full-time commercial fisherman. In his role as President, he supports and provides leadership to both the Shareholders' Alliance and Gulf Wild. He is passionate about the sustainability of Gulf fisheries and works to protect the heritage of fishing for his family, especially his ten year old son, Connor. 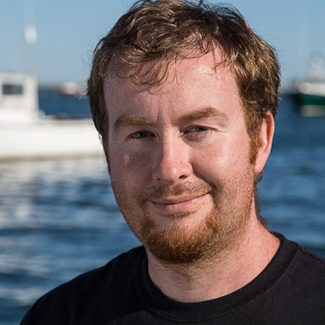 Gib Brogan is the northeast representative at Oceana, the largest international advocacy group working solely to protect the world’s oceans, leading conservation efforts with recreational fishermen. Brogan has more than 15 years in marine conservation and fisheries management in both tropical and temperate regions, with a diverse understanding of fisheries and fisheries issues as well as overarching issues in marine conservation. Prior to his time at Oceana he worked in marine and aquatic science education for state and private organizations in field and classroom programs. A lifelong fish geek, Brogan enjoys teaching his two children about amazing ocean life with his wife Abby, a former curator at the Mystic Aquarium. My daughter is a vegetarian and has been for 5 years. As a result, a lot of learning for our family and me has occurred. I love seafood, and while it is not on her diet, I have begun focusing on becoming an informed buyer of seafood. I live in Marietta, GA, a suburb of Atlanta, and enjoy being involved. For over three decades, Johnny Caradine has worked with the fishing industry, getting his start selling live U.S. farmed catfish at the Birmingham farmers market. He went on to owning his wholesale seafood company and four fresh fish markets. Today you'll find him at Evans Meats, still selling fresh domestic seafood. 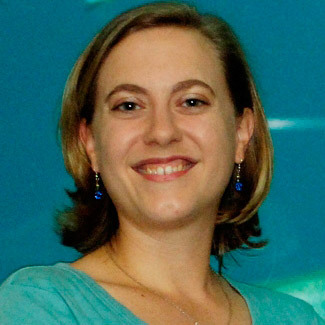 Angela Collins, a fisheries biologist for the state of Florida since 2005, focuses her efforts on reef fish ecology and behavior; specifically how these disciplines can be applied to fisheries management. Previously with the Florida Fish and Wildlife Conservation Commission (FWC), Collins worked closely with recreational and commercial divers and anglers to develop cooperative research projects. Together, they have investigated the spatial distribution and reproductive dynamics of hogfish, the habitat association and movement patterns of goliath grouper, and initiated a project to examine the behavior and release mortality of gag grouper in the Gulf of Mexico. With a M.S. in Biology, Collins is currently completing a Ph.D. in Biology from the University of South Florida. Libby Fetherston is the marine restoration strategist for Ocean Conservancy's Gulf of Mexico Restoration Program, ensuring restoration from the BP Deepwater Horizon oil disaster is science-based, integrated across political boundaries, fully funded, and inclusive of offshore Gulf waters where the spill originated. Previously serving as the Deputy Director for Ocean Conservancy's Fish Conservation Program, she led efforts to improve sustainable fish populations, healthy marine ecosystems, and economically viable fishing communities in the Southeast United States. Fetherston holds degrees in biology from Adrian College, environmental management from Duke University. With fisheries experience from the Caribbean to Alaska, she is committed to applying a multi-disciplinary perspective to achieve creative, long-term solutions to complex resource management problems. Derek Figueroa is COO for Seattle Fish Company, the largest purveyor of seafood in the Rocky Mountain region. He serves as the internal champion for corporate sustainability initiatives, advancing their 'green team', sustainable seafood policies, numerous green operational improvements, and the installation of a 102kW solar array. A highly recognized business leader, Figueroa presented at the 2010 Seafood Choices Alliance Sustainable Seafood Summit in Paris, France and is a founding member of Sea Pact, an industry led non-profit dedicated to funding global fishery and aquaculture improvements efforts. 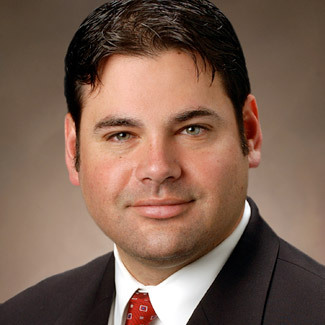 Figueroa holds a Bachelor in Finance, an Executive MBA, and a Masters Degree in Finance from the University of Colorado. He lives in Denver with his wife, son and three daughters. Andy Gadaleto is the owner of Gadaleto Seafood Market in West Chester PA. He inherited a love of fish from his family's seafood market in New Paltz, New York where he learned the business first hand from his grandfather and uncle. A seafood purveyor for over ten years, Gadaleto believes in selling the highest quality fish, while taking into consideration the sustainability of fish for tomorrow. Dr. Gohlke is developing improved methods to assess the role of environmental exposures in human health. She evaluated seafood safety after the Deepwater Horizon oil spill and is now studying latent effects of early life exposures on reproduction and lifespan. 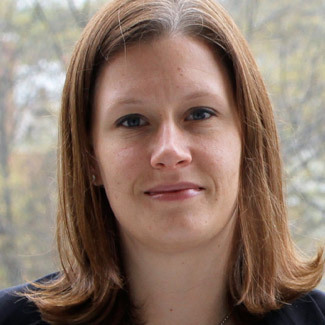 With funding from the National Institute of Health, her research includes the health effects of extreme heat events, evaluating health priorities and developing climate adaptation strategies. Dr. Gohlke received a Future Leader Award from the International Life Sciences Institute North America, serves on boards for the Scientific Counselors for the National Center for Environmental Health, the Agency for Toxic Substances and Disease Registry, the Centers for Disease Control and Prevention and has been an invited expert in several NIH and Environmental Protection Agency forums. Jim Gossen is an innovative and tireless leader for the recovery and improved sustainability of the Gulf of Mexico seafood industry. With a 40-plus-year career, he has owned and operated six restaurants in Louisiana and Houston, and founded Louisiana Foods Global Seafood Source, Texas' largest seafood processing and distribution company. Gossen has received the Environmental Protection Agency's Gulf Guardian Award, My Table's Legends of the Industry award, Southern Living’s Heroes of the New South award and named one of Cooking Light's 20 Food Heroes in America. Gossen remains active, serving on the boards of The Gulf of Mexico Foundation, Gulf Seafood Institute, Friend's of the Fisherman and the Advisory Board of the SoFAB Institute. Kenny Guindon is a second-generation fisherman and captains the fishing vessel Falcon from his homeport in Galveston, Texas. Since 1983, he has worked as a commercial fisherman, commercial fishing vessel captain, and Manager of Katie's Seafood Market in Galveston. He has been the captain of a commercial longline and bandit fishing vessel in the Gulf of Mexico for the past six years. 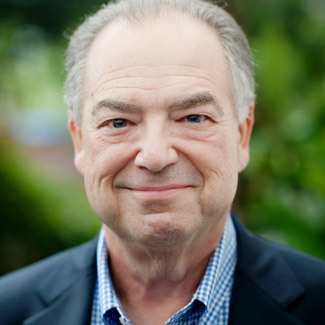 Stan Harris is responsible for activities including legislative affairs, media relations, association policies, program development and implementation. Starting in 2011, Harris advocates for access to sustainable fisheries from the Gulf of Mexico and informs the restaurant community about the challenges associated with commercial fishing and harvesting. Harris supports the passage of the RESTORE Act, providing funding for science-based stock assessments, tourism promotion and development in the wake of the Deep Horizon oil spill. He also supports the Share the Gulf Coalition, advocating fishery management policies in the Gulf. Harris regularly provides testimony before state agencies and on Capitol Hill and participates in the Gulf seafood industry's “Walk the Hill,” an annual event highlighting Louisiana seafood and fisheries related concerns. Birmingham-based Chris Hastings is the award-winning author and chef of the Hot and Hot Fish Club. He has worked as Chef at the Ritz Carlton in Atlanta, Chef de Cuisine at Highland's Bar and Grill, Bottega and the Lark Creek Inn. Along with his wife, he runs the Hastings Consulting Company, helping chefs, restaurateurs, and development companies create foodservice operations that benefit surrounding communities. Hastings has been featured on the Martha Stewart Show, TODAY, CBS Morning Show, the Food Network's Iron Chef America, The New York Times, The Wall Street Journal, Bon Appetit and Food Arts. 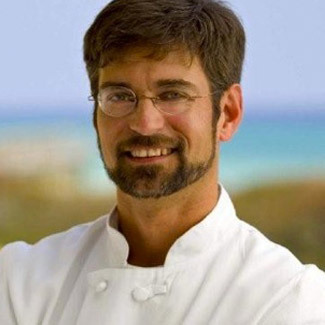 He is a member of the Alabama Seafood Commission and Director of the Bocuse d'Or USA Foundation's Culinary Council. 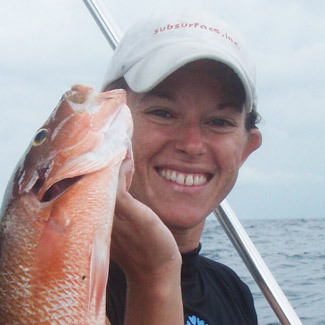 Jen Levin has worked with fisheries in New England since 2004. Her work with the Gulf of Maine Research Institute catalyses and supports the evolution of sustainable fisheries around the Gulf of Maine. Focused on discovering chain-of-custody and verification systems, Levin works throughout the supply chain, from fishermen, to processors and retailers. Their branding program, Gulf of Maine Responsibly Harvested, differentiates the region's seafood, recognizes restaurants that sell Gulf of Maine seafood and is committed to continuous improvement and sustainability of their operations. Levin is driven by the fundamental belief that good environmental and business practices go hand in hand. With previous experiences with the State of Wisconsin, the National Association of State Foresters, the Recreational Boating and Fishing Foundation. 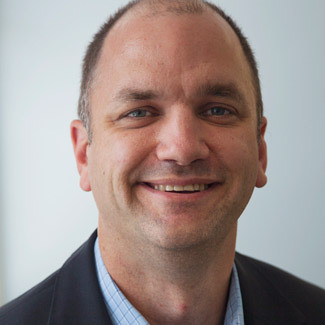 Geoff Luebkemann's background is an impressive blend of hospitality and public service. 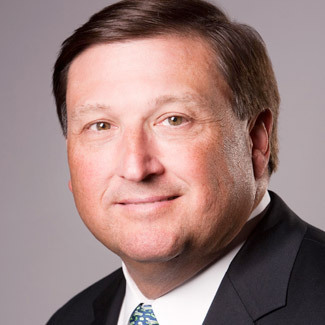 At the Florida Restaurant & Lodging Association, he heads the Education & Training Department and Regulatory Compliance Services and is active in numerous national and statewide food safety initiatives including the Conference for Food Protection, FDA Retail Food Partners Workgroup, Florida Food Safety and Food Defense Advisory Council, and the Florida State Emergency Response Team. Luebkemann's experience also includes operations for one of the largest casual theme companies in the US and Director of the Florida Division of Hotels & Restaurants, where he was responsible for over 300 employees, 8 offices statewide, over 80,000 licensees, more than 150,000 inspections annually, and operating revenue exceeding $25 million. Brian Mellon captains the fishing vessel Miss Ruby out of Madeira Beach, Florida, and brings his fresh, wild-caught fish to Wild Seafood Co. For the past 22 years, Melon has been fishing the waters of the Gulf, Caribbean, North Atlantic and Windward Passage. As an accomplished captain, Melon has developed a reputation for delivering the highest quality product possible. 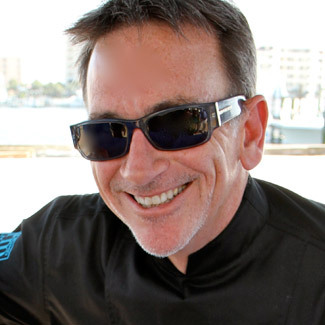 Rick Moonen has many titles, including restaurateur, chef and cookbook author, and is one of the country's leading advocates for sustainable seafood. His two restaurants - Rick Moonen's rm Seafood and Rx Boiler Room at Mandalay Bay in Las Vegas - showcase his commitment to sustainability without foregoing creativity and innovation. His cookbook, Fish Without a Doubt, is a practical, hands-on guide to buying, preparing and cooking fish. Moonen has been featured in Food & Wine, SAVEUR, Bon Appetit, TODAY, Food Network's Best Thing I Ever Ate, Top Chef, Top Chef Masters and more. His sustainability accolades include Chef of the Year by the Monterey Bay Aquarium and Humanitarian of the Year by the American Culinary Federation. 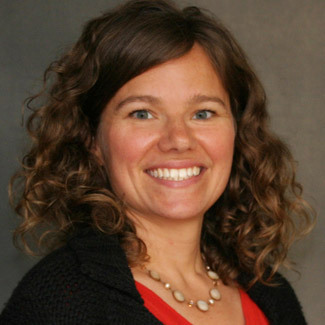 Wendy Norden's responsibilities include program strategy development, a rigorous scientific framework that evaluates wild capture fisheries and aquaculture operations, and all aspects of research. Her goal is the development and maintenance of credible, defensible and transparent seafood recommendations. At the University of Maine, she evaluated eco-certifications, economic incentives for conservation, and assessed ecologically damaged subtidal marine ecosystems in both the Gulf of Maine and San Francisco Bay. 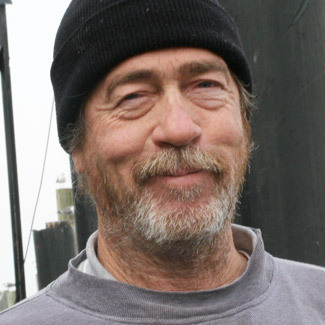 Norden has created subtidal eelgrass restoration programs, investigated American lobster post-settlement success rates, managed the New Zealand Department of Conservations' fisheries observer program, influenced seabird mitigation regulations, and researched bycatch reduction best practices aboard fishing vessels in New Zealand and Australia. Norden was recently named to the fisheries expert working group for the Global Sustainable Seafood Initiative. As a marine biologist specializing in fisheries ecology and sport-fisheries, Dr. Greg Stunz seeks to provide scientific data for sustainable management of marine fisheries and ocean resources to ensure healthy environments. His research focuses on the migration patterns of marine life in the Gulf of Mexico, and the understanding the vital role that estuaries and near-shore waters play in sustaining marine populations. This includes understanding how artificial reefs enhance fisheries, the roles of apex predators (i.e., sharks) in Gulf ecosystems, dolphin-fish migration and life history studies, red snapper ecology and management, and many other projects dealing with estuarine fishes. 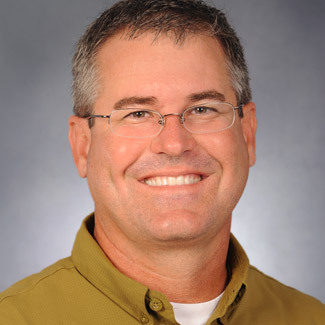 Dr. Stunz sits on numerous boards, panels and scientific advisory committees with local and national impact and is Endowed Chair of Fisheries and Ocean Health, Harte Research Institute for Gulf of Mexico Studies and Executive Director, Center for Sportfish Science and Conservation. Megan Westmeyer helps the fishing industry improve practices, minimize environmental impact, and meet the requirements of key buyers. Previously, Westmeyer led the Sustainable Seafood Initiative at the South Carolina Aquarium, an educational program for culinary professionals learning about sustainable seafood - translating technical fishery information to a concise format usable by the culinary industry. She also gained valuable industry insight while working as a shrimp bycatch observer in the Gulf for the South Atlantic Fishery Management Council. 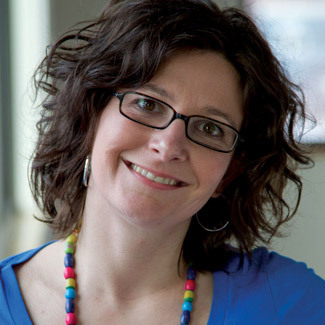 Westmeyer serves on the Board of Overseers of Chefs Collaborative, holds a M.S. in Oceanography and Coastal Sciences from Louisiana State University and a B.S. in Marine Science from the University of South Carolina. She lives in Montgomery, Alabama. Captain Donnie Anderson has been fishing for 24 years. He started out fishing for tuna in Hawaii and has fished his way back to the Gulf of Mexico. Originally from Gulfport, Mississippi, Anderson now fishes from Florida to Texas and loves the freedom it provides. Captain Red Baker has his home port in Madeira Beach, Florida. He brings his fresh, wild-caught fish to Wild Seafood Co. Red has been a captain for more than 15 years. He started out as a deck hand and worked his way up in the business. Red is married to his lovely wife and has four brothers who are also fishermen. Captain Brian Breaux, 37, fishes out of Grand Isle Louisiana. He has been fishing for 22 years, off the coasts of Florida, Louisiana, and Texas. He has been a captain for 7 years now, and is currently running the Pisces. He has worked for Albert Ballard for the past 14 years who is known as a veteran in the commercial fishing industry. Brian says that fishing is the most exciting thing he has ever done and that he literally lives and dies for fishing everyday of his life. If you ask him what he wants to see on his plate, it would be Gulf Wild grouper. If you ask him what he wants to see on his fishing lines, its American Gulf Wild red snapper every time! Captain KP Burnett started working as a deckhand on charter boats in Destin, Florida, at age 14. He secured his captain's license and was running his own boats by age 18. After 22 years running charter boats, Captain Burnett bought a boat and has been operating as a commercial fisherman for the last 25 years. He says the best part of being a fisherman is being his own boss and spending time on the water. Capt. Burnett is a member of Shareholder's Alliance and sees how the quantity of fish in the Gulf has really improved since the IFQ. He employs Gulf Wild tags so consumers know how the fish are caught and who is catching them and brings these fresh, wild-caught fish to Katie's Seafood in Galveston, Texas. Captain Bobby Carter fishes for six months out of Texas (in the western Gulf) and six months out of Florida (in the Eastern Gulf). He started fishing in Virginia in 1977, moved to Florida in 1979 and has become permanently hooked to the freedom that this way of life represents. Believing that you are only as good as your product, Captain Carter has become a strong proponent of the Gulf Wild tagging system and the accountability it represents. As the son of a commercial fishing captain, Captain Nick Carter wanted to follow in his fathers' footsteps fishing the Gulf of Mexico. To Captain Carter, the best part of fishing for Gulf Wild is simple. Commercial fishing ensures a future for his family and protects the love of his life, his daughter. R. Scott Childress has been fishing the Gulf of Mexico for 30 years and spearfishing the Gulf for 13 years. Scott ran a grouper fishing charter business for 5 years before starting commercial spearfishing business in 2006. Captain William “Bubba” Cochrane fishes out of his homeport in Galveston, Texas and has been fishing for as long as he can remember. Starting out on a charter boat when he was 17, and fishing commercially in the charter off-season, Captain Cochrane eventually became a full-time commercial fisherman. He supports Gulf Wild and works to protect the heritage of fishing for his family, especially his son, Connor. Captain Jason DeLaCruz owns three boats and is captain of the Fishing Vessel Nuthens Purfect. He brings his fresh, wild-caught fish to Wild Seafood Co. in Madeira Beach, Florida. Jason is vested in Gulf of Mexico Grouper IFQ catch shares, has hook and line fished and spearfished commercially in the Gulf of Mexico for more than five years and fished recreationally for more than 20 years. He has been working with scientists at NMFS and the Council during his career and recently participated in a Cooperative Research Program. Jason is a member of the Vessel Monitoring System Panel (VMS) and as a successful independent business owner eagerly to works with Gulf Wild in a leadership capacity. Captain Bill Fehl fishes the inshore and offshore waters of Pinellas Co, FL and offloads his same day wild-caught fish to Wild Seafood Co. in Madeira Beach, FL. With over 20 years experience of full time charter fishing and commercial spear fishing, his range spans from the waters of the Gulf of Mexico, the Florida Keys, and up the Atlantic Coast of Florida including the Bahamas. He is an accomplished fisherman with 32 tournament wins and has been an established full time guide since 1994. Kenny Guindon fishes from his homeport in Galveston, Texas. A second-generation fisherman, Guindon has been a commercial fisherman since 1983 and the captain of his longline and bandit fishing vessel in the Gulf of Mexico for the past six years. He is also the Manager of Katie's Seafood Market in Galveston. Captain Greg “Hans” Guindon, has been proudly fishing from his home town of Galveston, Texas since he was 2 years. His favorite part about fishing is just being out on the water, Having been born into fishing, he finds tremendous satisfaction being out on the water and expects to be there for the rest of his life. 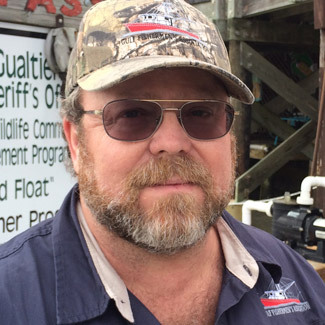 In his spare time, Captain Guindon owns and operates his own charter fishing business. Scott Hickman studied Wildlife Management and Criminal Justice at both Texas Tech University and Sam Houston State University, served in the United States Marine Corps and Texas National Guard, and is the owner/operator of Circle H Outfitters and Charters in League, Texas. He is a full time hunting/fishing guide and commercial fisherman with 27 years specializing in Cobia, Snapper, Amberjack and King Mackerel fishing. With a priority for a sustainable and accountable charter business plan in the Gulf, Scott is a member of the Flower Garden Banks National Marine sanctuary council, Gulf of Mexico Fisheries Management Council's Migratory Pelagic Advisory Panel as well as their Reef Fish Advisory Panel. 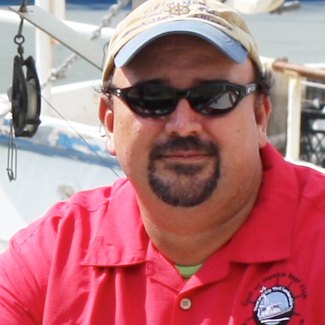 Captain CJ has been fishing from his homeport of Port Aransas, Texas for over two decades. As a child, he learned to fish alongside his Father. After serving in the U.S. Coast Guard as a search and rescue boat captain, working as a fishing guide and subsequently becoming the captain for a deep sea charter in Port Aransas, he finally chased his dream. Today, he operates his own commercial fishing business and fishes on a 50-foot single engine trawler type vessel. Matthew Joswig is the co-captain and co-owner of the fishing vessel Brickyard operating from his homeport of Madeira Beach, Florida. Captain Joswig began fishing the Gulf of Mexico in 1998 While he fishes with rod and reel, his gear of choice is spearfishing. Joswig is proud to be a Gulf Wild fisherman, delivering only the freshest and highest quality fish available. Kevin is the captain of the Fishing Vessel Jamie hailing out of Aransas Pass, Texas. Captain Eugene Key is a third-generation fisherman and has been a Captain for 25 years. He fishes the Gulf of Mexico, delivering a fresh catch to Katie’s Seafood Market in Galveston, Texas on a regular basis. Captain Key proudly supports Gulf Wild and appreciates everything that is being done for the fisheries and the reef fish industry. Captain Garrett King, originally from New Hampshire, has been fishing for over 15 years. With a career that started out as a deckhand on party boats, lobster boats and red snapper derby boats, he is now the captain of his own vessel for the very first time. With his recently purchased 42-foot King's Pride, Captain Garrett proudly delivers fresh catch to Katie's Seafood Market in Galveston, Texas. With a vast knowledge of the Gulf of Mexico and the inshore waters of the intercoastal, Captain Greg MacFarlane became primary captain for Pura Vida fishing and commercial operations in the spring of 2008. Since assuming this role, MacFarlane has realized an uncanny ability to find fish. Captain Dan MacMahon has been spearfishing for over four decades, and began commercial spearfishing in 1999. As the owner/operator of two custom designed spearfishing boats, Captain MacMahon is able to produce yields of 2000-3000 lbs per trip. As a firm believer in freshness, quality and authenticity, MacMahon has been a proud supporter of the Gulf Wild brand since it's inception in 2007. For the past 22 years, Captain Brian Mellon has experienced fishing from the Gulf waters, the Caribbean, the North Atlantic and the Windward Passage. Today, he fishes out of his homeport Madeira Beach, Florida, and delivers fresh, wild-caught fish to the Wild Seafood Co. on a regular basis. As an accomplished fisherman, Melon enjoys the enviable reputation for delivering the highest quality seafood that can be fished from the Gulf of Mexico. Preston Mixon is the captain and owner of the Fishing Vessel Lisa Dale with his home port in Galveston, Texas, where he brings his fresh, wild-caught fish to Katie's Seafood Market at Pier 19. Preston has been fishing commercially since 1999 and has captained since 2007. 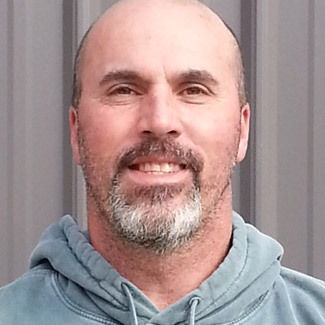 Originally from Houston, Preston loves the ocean and enjoys fishing to support his wife and three 3 children. With a degree in marine biology degree from Texas A&M, a four year tour in Hawaii, and then deckhand, Mixon graduated to formal "fisherman" and later to certified Captain. Preston says, "Now I own a boat, that's what I do. My kids are growing up around this which I think is a healthy thing. It beats living in the city. It's a good clean environment." Captain Jessie Reed has been operating a commercial fishing enterprise, fishing for grouper in the Gulf of Mexico, for close to 20 years. 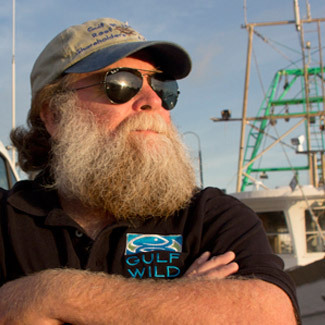 Being a strong advocate for the Gulf Wild brand and all of its principles, Captain Reed is one of the first, fully accountable fishermen, who has installed video cameras on his boat. David Register is what you call a family man. His love for fishing is only out done by the love for his son, Bryce who is 15 years old. This father son team fish in the home waters of the Gulf of Mexico, up to 90 miles offshore, to ensure they bring the freshest Gulf Wild catch to the dock. The dynamic duo can knock out a couple hundred pounds of fish in a single day. They are proud to be a member of the Gulf Wild fleet and offload only at Wild Seafood Co. in Madeira Beach Florida. Captain Ed Smalls has been fishing for over 32 years and has been all over. While the Caribbean is his favorite he is currently based out of Madeira Beach, FL. When it comes to fishing he has been around the block and spends his off time getting ready for his next trip. Captain Matt “Smitty” Smith is a third-generation fishermen operating out of Galveston, Texas. He began his career working as a deckhand for his father. At 19, he was taking passengers on day-long fishing expeditions. Considered one of the youngest captains on the Gulf Coast, his knowledge, professionalism and passion for fishing are unrivaled. This is evident by his obvious care and concern for his crew and the safe operation of his vessel. Captain Eric Walker has spent most of his life on the Gulf Coast. With a profound respect for the water and its wildlife, Captain Walker transformed his love of fishing from a purely recreational activity to that of a full time professional enterprise. He currently operates out of Galveston Island, Texas and reaps the bounty of its offshore fisheries. Mark Westbrook is the captain and owner of the fishing vessel Down Under 4 with his homeport in Tierra Verde, Florida. Mark started fishing and spearfishing in the Atlantic off the coast of Jacksonville at age 23. He moved to the Tampa Bay area at age 34 and has been fishing and spearfishing the Gulf of Mexico ever since. Mark treats each and every fish as if he was bringing it to his own table. Captain Billy Wright is a third generation fisherman who practically grew up on a boat. By age 15, he was running a charter boat and soon began fishing commercially. By the time he graduated high school, he was a captain running a crew of fishermen nearly twice his age. Captain Wright loves the many challenges of fishing and the thrill of catching the fish. 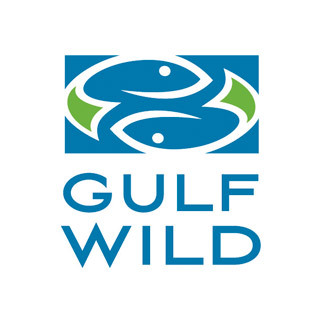 As a strong advocate and supporter of the Gulf Wild brand, Wright wants to ensure a vibrant fishery that his children and grandchildren can enjoy. All current openings are detailed below. Applicants interested in applying for any of these positions should send their resume and cover letter along with three professional references to info@mygulfwild.com. Interns play a vital role at Gulf Wild, across all aspects of our work – from the dock, to the web, to our funding outreach. As a non-profit focused on conservation, we understand that taking care of our employees is as important as taking care of our environment. Each intern will receive full access to the Ocean Conservation Careers online course as well as our ongoing training membership program. This ensures all employees have the tools and skills they will need while working at Gulf Wild and into their careers in the future.